By definition, thread count is simple: It’s the number of threads woven into one square inch of fabric — add the vertical ones (technically, the “warp”) to the horizontal ones (the “filling”). But in reality, it’s not nearly that straightforward. Think about it: Only so many pieces of thread can fit into a specific space. With Bedding, that number maxes out around 400. That means manufacturers have to employ some creative counting to land those 1,000-plus numbers. One of the most common ways to do this is to factor in a fabric’s ply. (A note about fabric construction: Each thread in a piece of fabric is made up of single strands twisted together. This is called ply. When two strands are twisted together, it’s two-ply fabric; with three strands, it’s three-ply; etc.). Some manufacturers might decide to count each of the strands individually, making it easy to double or triple the thread count — and therefore, the price. But this has little effect on the actual quality of the linens. Other manufacturers might use thinner threads to increase the thread count, which can shorten the linen’s lifespan without increasing comfort. But besides being deceptive, inflating thread count is just silly. All leading authorities have determined that thread count alone is not an indicator of quality. 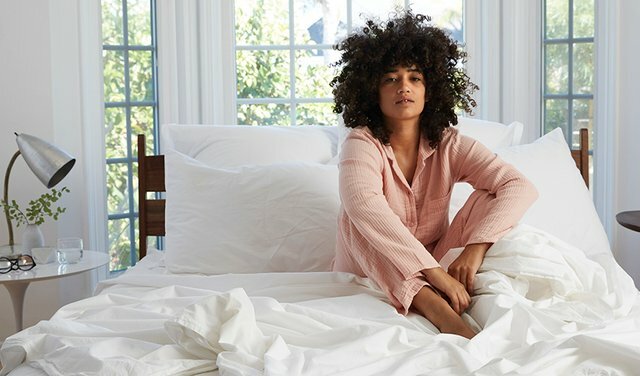 As Consumer Reports states, “Our latest tests again confirmed that higher thread count doesn’t guarantee better sheets.” Some of these practices are actually a detriment to quality, resulting in heavy sheets that don’t breathe well or feel stiff and uncomfortable. The reality is that it’s not thread count but the quality and type of material that matter. That’s why Parachute offers only the highest caliber fabrics to give you a world-class sleep experience — of any thread count. Congratulations @ashish2096101! You have received a personal award!